I wrote a simple Python script to combine the per-category ratings-only data from the Amazon product reviews dataset curated by Julian McAuley, Rahul Pandey, and Jure Leskovec for their 2015 paper Inferring Networks of Substitutable and Complementary Products. The result is a 4.53 GB CSV that would definitely not open in Microsoft Excel. The truncated and combined dataset includes the user_id of the user leaving the review, the item_id indicating the Amazon product receiving the review, the rating the user gave the product from 1 to 5, and the timestamp indicating the time when the review was written (truncated to the Day). 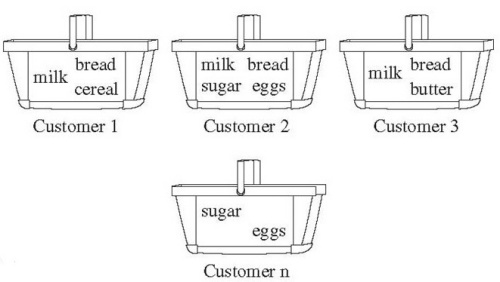 We can also infer the category of the reviewed product from the name of the data subset. Python 3.6 added another interesting new feature that is known as Syntax for variable annotations. Over the past few years, the Python programming language gained a huge popularity boost and its community grew faster than ever. With this growth, a lot of tools appeared that help the community keep things organized and accessible. In this article I am going to provide a short list of iteOver the past few years, the Python programming language gained a huge popularity boost and its community grew faster than ever. With this growth, a lot of tools appeared that help the community keep things organized and accessible. In this article I am going to provide a short list of items every Python project should have in order to be accessible and maintainable.ms every Python project should have in order to be accessible and maintainable. Benoit's first article we shared couple of issues back talked about the memory leak in his crawler and how he found the culprit. In this second and final post of the series, you'll find out how Benoit used a combination of techniques and tools to analyze and resolve memory leaks in his Python application. Lessons learned by replacing httplib in Apache Libcloud with requests. Author Michael Hausenblas explores several use cases where serverless is a great fit—primarily short-running, stateless jobs in event-driven architectures found in mobile or IoT applications. He also provides a guide for migrating from a monolithic application structure to serverless computing. The code snippet in the last chapter is in Python. Though it's a toy application. While the underscore _ is used for just snake-case variables and functions in most languages (Of course, not for all), but it has special meanings in Python. If you are python programmer, for _ in range(10) , init(self) like syntax may be familiar. Understanding how chatbots work is useful. A fundamental piece of machinery inside a chat-bot is the text classifier. Let’s look at the inner workings of an algorithm approach: Multinomial Naive Bayes. This is a classic algorithm for text classification and natural language processing (NLP). Fancy terms but how it works is relatively simple, common and surprisingly effective. As a curator I can state that Vasudev Ram is definitely one of the most consistent Python blogger in terms of no of articles / code snippets he writes. PyTorch is a python package that provides two high-level features - Tensor computation (like numpy) with strong GPU acceleration and Deep Neural Networks built on a tape-based autograd system. You can reuse your favorite python packages such as numpy, scipy and Cython to extend PyTorch when needed. django-eventsourcing offers common components that are required for building Event Sourcing Django applications. 170124 Zoom.Quiet 用时 7 分钟完成格式化.